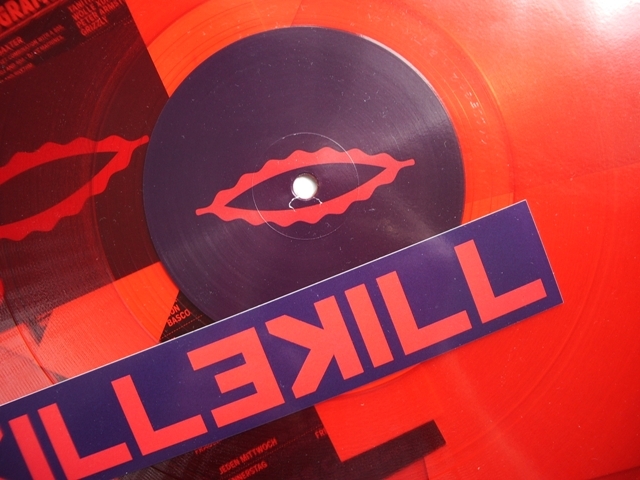 About a year ago, when at stocking up my vinyl collection at Hard Wax, I came across a Killekill release for the first time, by Bill Youngman. Since that have kept an eye on the label’s affairs and seen impressive releases, especially by Snuff Crew and Neil Landstrumm. Now the Berlin outlet presents a truly global connection with producers of Welsh/Greek and Turkish/Uyghur (Cassegrain) and Finnish/American (Tin Man) origin who have got together for trippy workouts. Although both acts have been in the limelight for a while the collaboration seems to be of a surprising kind – but with maximum effect. Crackling and sizzling sound fog, bold underwater bass and vigorous acid lines make the title track “Carnal” essential part of the EP. Marching off with a beat pattern reminding of Green Velvet’s “Flash”, acid worms start eating your mind for pulse-raising moments on the floor. In a more reduced note comes “Visitor” in the position A2, with wriggling acid lines and padded percussion, partly recalling Plastikman’s “Sheet One” from 1993. In terms of club functionality “Sear” reaches out to the levels of “Carnal”, featuring initially rather jolly acid lines, which turn evil closer to the end. And then you need some “Rest”, a restrained caustic symphony. Cassegrain and Tin Man have really saved the best of their talent for this release. Although some artistic influences are audible, the way the four-tracker is composed is a good reason to earn respect in today’s techno community. Visual context has been lent by the crew of the29nov Films, all four videos found on Killekill’s Youtube channel.